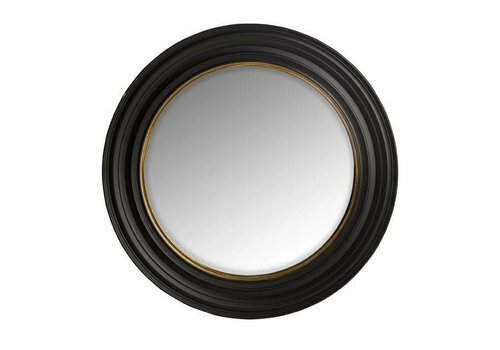 'Convex mini' the lovely and elegant mirror design by Belgium mirror factory Deknudt, is sleek in it's round black frame. 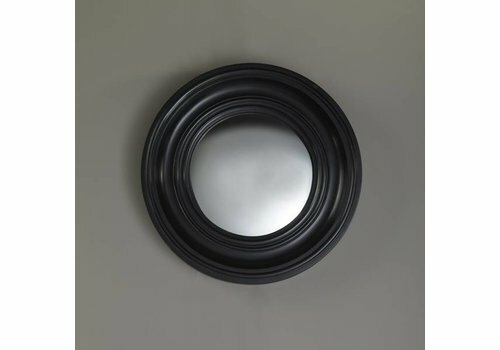 It's modern and simply stylish design makes Convex the perfect addition to any interior, it will especially stand out in a modern or classic interior design. Expertly formed frame from polyurethane lacquered a rich black encircles a round glass mirror, crafted by the Belgium mirror experts, using techniques handed down from generation to generation. 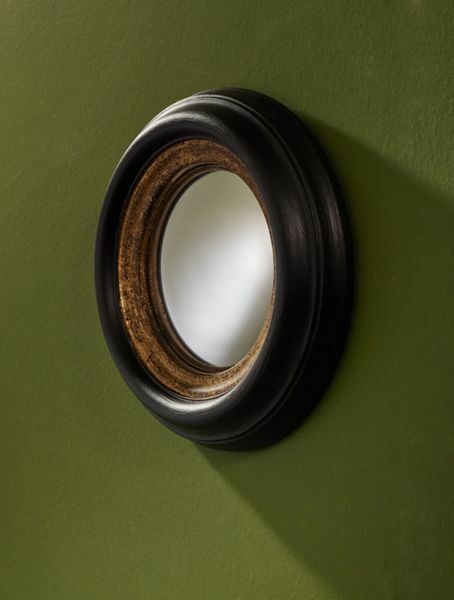 Convex comes in two sizes, with a unique color variation! 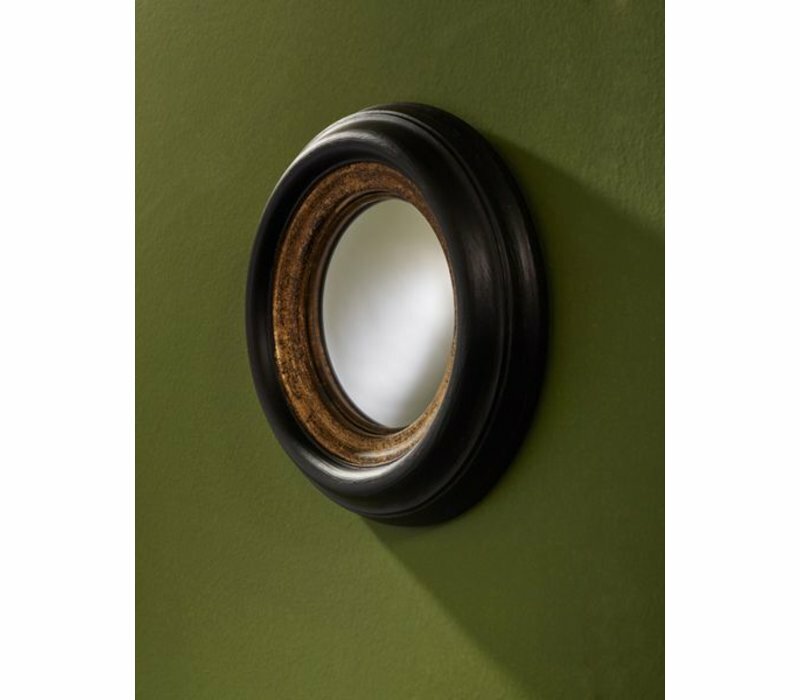 Order Convex Mini (25cm) in black frame with an inner circle in gold leaf, Convex Small (40cm) in solid black frame, and Large (73cm) has a very unique added detail, a thin bronze outline of the mirror is painted on the frame. 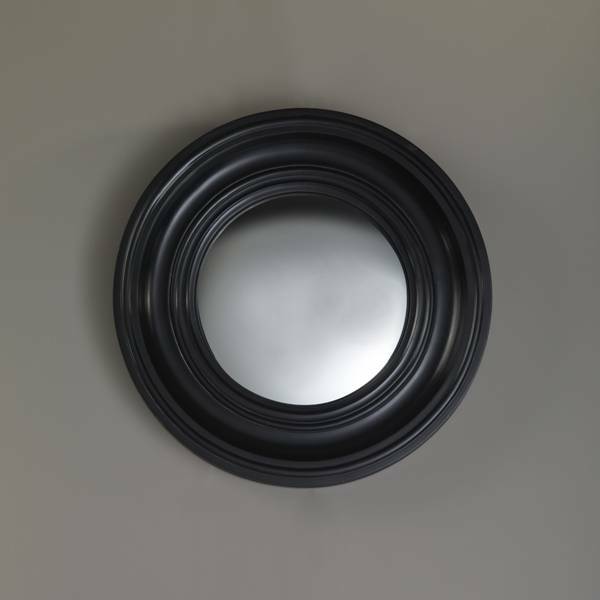 'Convex' is a lovely, round mirror with a black design frame, by Deknudt. 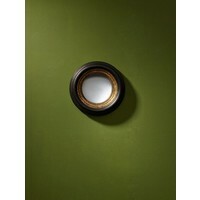 Smooth and elegant, Convex is great addition to any interior. 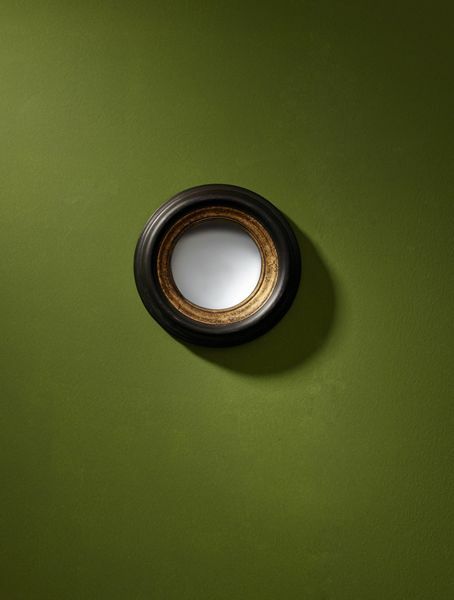 Available in two size options (and color variation. 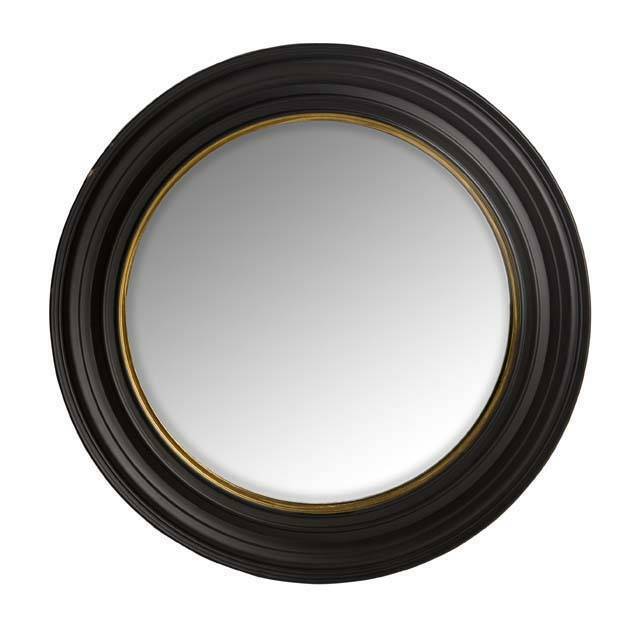 'Cuba' is a lovely, round mirror with a black design frame, by Eichholtz. 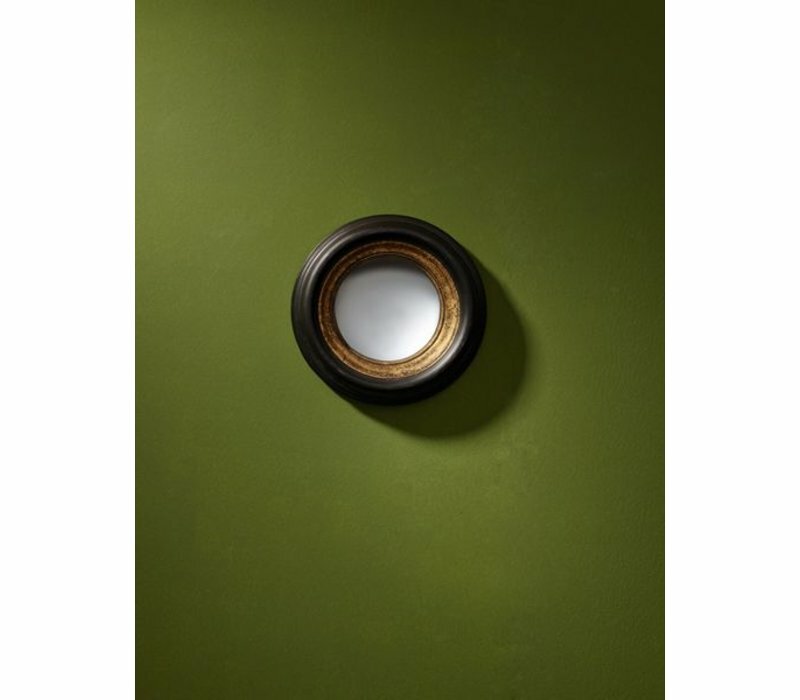 Smooth and elegant, Cuba is great addition to any interior.